Watch this space for features on the Staff and Students of Early College! Every year at J.D. Clement Early College, a few teachers and faculty come and go. 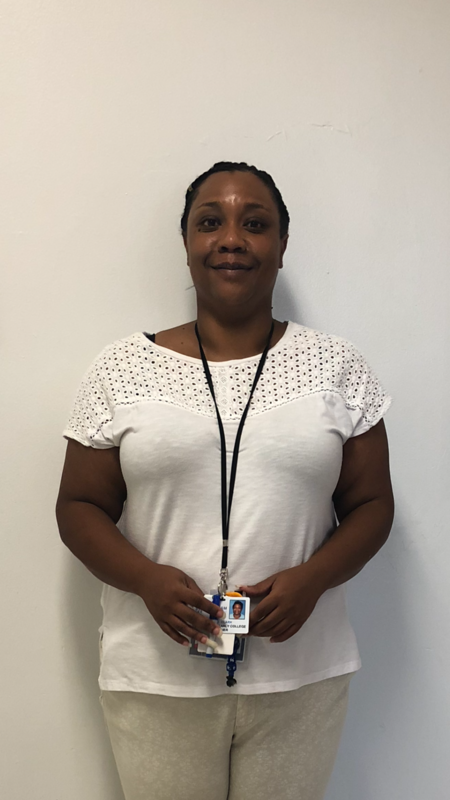 The 2018-2019 school year is no different, which is why I interviewed Joy Clark, a new math teacher that first came to our school last semester in 2018. She started off by teaching Math II and now currently teaches Math III. Ms. Clark is also still a university student on the side, studying law at our very own NCCU where she plans to become a law teacher herself. Ms. Clark began teaching at this school due to her friendship with Mrs. Teasley. She has been a teacher for a total of 16 years and at one point taught both 7th grade science and math, teaching only high school math for 11 years afterwards. When asked about why she specifically teaches math, Ms.Clark stated she loves teaching in general and also loves the concreteness of math, noting that fact of how she would argue with her teachers in the past and didn’t want her students to argue with her. So far in the time Ms. Clark has been teaching here, she has greatly enjoyed being a teacher at Early College and made it clear how she loved the diversity of our school, stating how before coming here she taught at a school where she was the only black teacher. She has also said how the supportive staff, friendly students, and nice facilities are part of the reason why she enjoys teaching at this school. To conclude, Ms. Clark has claimed she plans on teaching for about 20 more years, either being a law teacher or still working at Early College and also noted that she would be satisfied with retiring as an Early College teacher. As students of Early College, we should continue to making this school an enjoyable place for new teachers to work at. Who is Mr. Morales? How much do we know about him? What type of person is he? 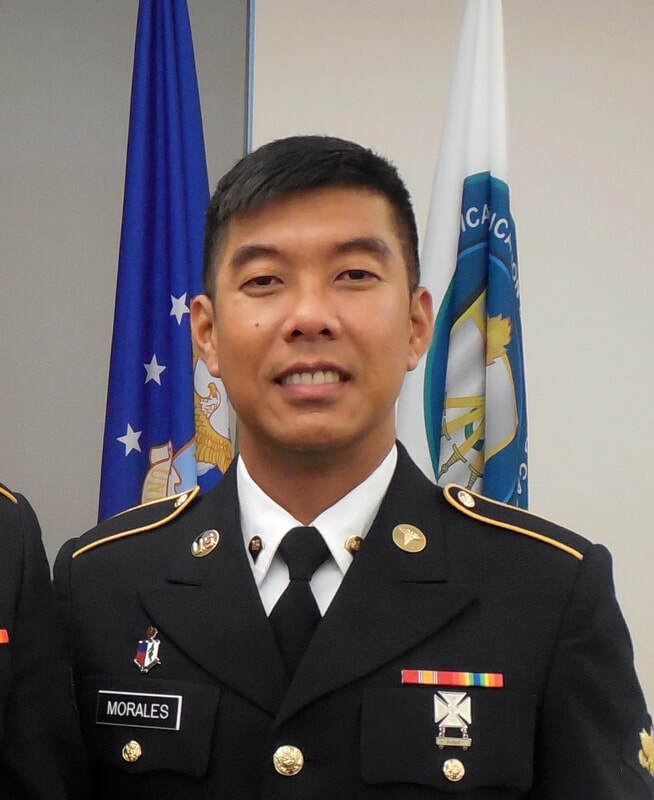 Mr. Morales is a hard-working teacher at ECHS with 13 years of experience in the teaching field, and 5 years as a vice principal in a Catholic school called San Roque Catholic School in the Philippines. He himself is also Filipino and was raised there. He was also in the army for 1.5 years in training and 4 years altogether. More specifically he is an equipment specialist. He also has a Bachelor of Science degree in electrical engineering and was a secondary education major in math. He is an engineering graduate and finished his education in 2003. Throughout his teaching years he has only taught math and this is his first year teaching in Durham. Previously, he taught in Vance County for 2 years. He was also in sales before. Mr. Morales is from the country and likes it there better because of less traffic. He was married last year on July 28, 2018, and has a baby on the way. He plans on having four kids because his wife was the only child in her family and wishes to have a big family. His current age is 37 and he is a Catholic. Mr. Morales is also a really kind teacher who makes it really easy to understand math, and gives less work and makes sure we understand the material. If you haven’t met Mr. Morales, make sure to stop by his room and welcome him to Early College! This year we have had many changes at ECHS, specifically in staff. With the addition of several new teachers, it only seems right to introduce them to the students who may have not had the chance to meet them yet. One of the new staff members is Ms. Watkins! Ms.Watkins is our new Chemistry teacher for juniors. She has been a teacher for over 20 years, and used to own a bakery in her hometown of Chicago. However, she had not always wanted to be a teacher. “I was supposed to be a veterinarian of horses, so that's how I started out. Then I got into teaching when I had my first son because I wanted to be at home a little bit more and I liked the schedule a little bit better and then I just found that I enjoy teaching science, so I stayed." Ms.Watkins has stated that she loves working here, and we hope she continues to enjoy her time here. If you haven’t met Ms. Watkins, stop by her room and welcome her to ECHS! For this month’s article on student athletes I interviewed Andrew Hayes, a 16 year old junior who attends our very own Josephine Dobbs Clement Early College. We talked about his sports career currently and how he balances his student life with sports life. Hayes currently plays football for Charles E. Jordan High school. I started off our interview by asking how he got into playing football. “I was interested in football as a kid, my little brother started playing football before me and I decided to play the next season in 3rd grade” Hayes explained. We then discussed the topic of how hard it was for him to adjust to going to a very difficult school while also balancing sports and extra-curricular events. He stated: “At first it was very difficult because the workload was a lot more than middle school, but over my first two years I got the hang of balancing the two.” He says that he always keeps school first. I then asked about his sports career and where he seems to be taking his career. I asked about the controversial question on whether student athletes in college/universities should be paid while playing their specific sport. “I don’t because I feel that if you are good enough at the sport you’ll excel in college and eventually go pro and get paid then”. Finally, we summed up what incoming students going into JDCECHS should expect and advice he would offer young student athletes. 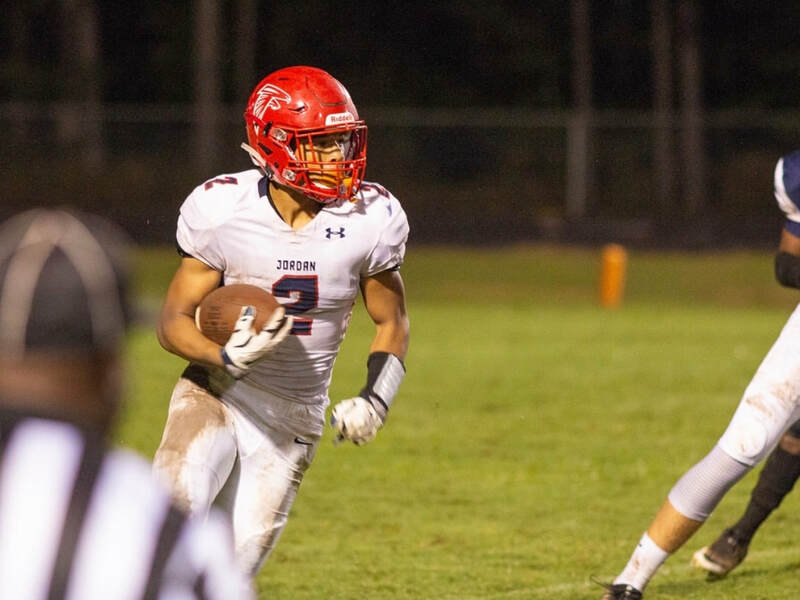 Andrew stated “They should know that student comes first, when you are a student athlete and to make sure to put in the time to do work and study after games and practices”. We want to congratulate our very own principal for earning her doctorate degree! Dr. Woods-Weeks grew up in Durham and attended Northern High School for her high school years. She went on to study at North Carolina Central University where she earned her Bachelor's and Master’s degrees and attend the University of North Carolina-Chapel Hill for her Master’s degree in school administration. She earned her doctorate degree from Eastern Carolina University in December. Additionally, Dr.Woods-Weeks has numerous achievements during her career. Two years ago, Dr. Woods-Weeks was awarded Principal of the Year 2017 by Durham Public Schools. Her hard work and dedication is shown by how she greets us every morning and afternoon. I think I can say for everyone that J.D Clement Early College High School is grateful for her guidance and leadership at the school toward the staff and students. Dr. Woods-Weeks is a dedicated principal who cares about her students’ well being and makes sure that her students graduate. Our school has received an A+ or A grade by the state of North Carolina for approximately the past 5 years. Dr. Woods-Weeks gleefully shared comments about how the success of our school had been achieved with the help of our teachers: “With the caring and supportive teachers we have, and paying attention to their individual needs and trying to meet them where they are, really attributes to our success.” Shanya Black, a senior, comments in an article in the Daily Voice about Dr. Wood-Weeks as a “mom” and how she is there “whenever I need to just go into her office and get some work done.” Dr. Woods-Weeks is a principal we can rely on because she is always willing to help out students and solve problems. We want to congratulate Dr. Woods-Weeks on her accomplishment of earning her PhD.